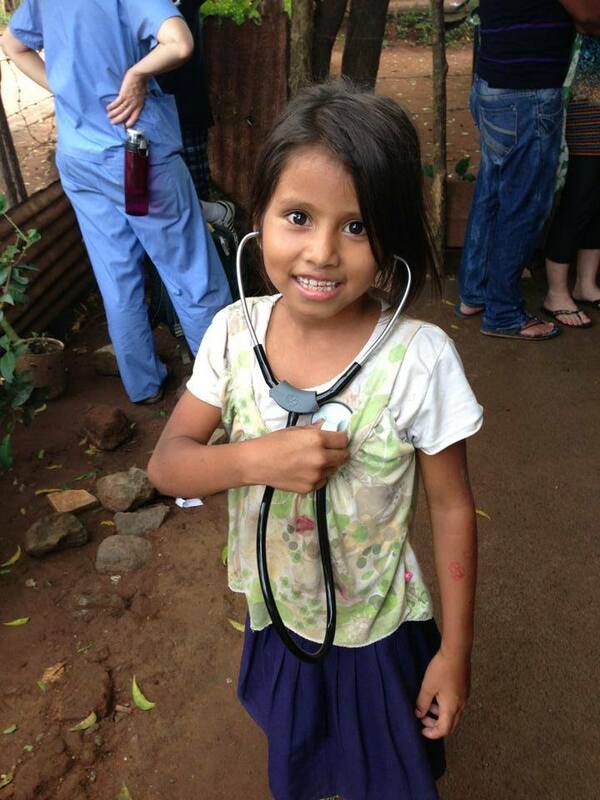 On Friday, 8 November 2013, our lovely barrio, Pantanal welcomed a medical brigade team from Bless Back Nicaragua. 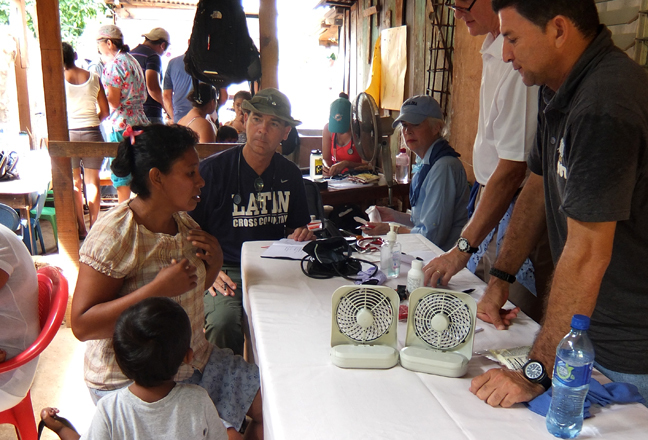 With a help from our long-time friend, Naomi Heidorn and her organization, Los Rayos de Esperanza, more than twenty doctors and nurses visited our school that day, to provide our children and their families a better access to health services. We are very grateful for this opportunity and judging from the number of people who came, the barrio was very thankful as well. We set up our school to fit six consultation tables. A team of approximately two doctors and nurses attended each table. Our volunteers prepared a list of our children and their family members’ name. Based on that list, we called our children to come with their family, so that everyone could get examined and received medicines when it was needed. We measured their height and weight as well as asked them to write down their health concerns. After the examination, our children received a banana and a goodie-bag prepared by the team of doctors. Sounds easy enough? Apparently not really. Although our volunteers had been informing about this opportunity to the children and their family member from couple days in advanced, there were many children that came alone. Some of them told us that their parents were working and some told us that the parents did not want to come. However, as a precaution, the doctors refrained from giving medicines to the children if they came alone. Therefore, our volunteers accompanied the children who came alone, listened to the exam and later informed the family directly about the children’s condition. That is when I realized that the children are like family to us volunteers. When some of them were nervous waiting in line, we held their hands and told them everything is going to be okay. Accompanying them during the exam has also helped us to learn about their health condition that they never share before. From the session, we figured out that Moises, our 12-year-old English class student told us that he only eats once in a day, which is with us at dinnertime. The doctors gave him vitamins and packaged potatoes. We also listened to some heartbreaking stories. One of them came from Teresa, one of our pre-schoolers. She came alone to the examination and had to be accompanied by one of our volunteers. After the examination, our volunteer, Laura, went to Teresa’s house to explain to her parents about the medicine that Teresa needs to take. Laura then found out that Teresa’s sister is autistic. However, since the family does not have sufficient knowledge about autism, they always refer her as “crazy”. At the moment, with the help from Los Rayos de Esperanza we are looking for special school that can accommodate her needs. We are very thankful for this opportunity. 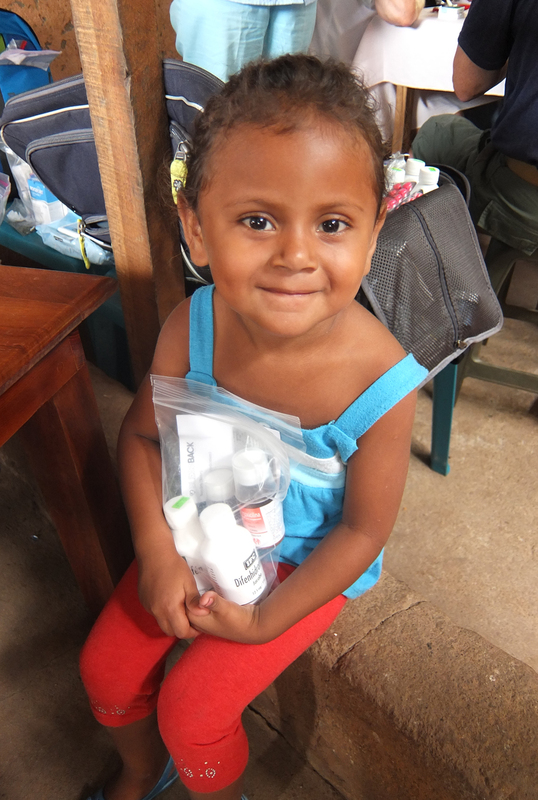 Bless Back Nicaragua and Los Rayos de Esperanza have helped us to provide health aids to more than 100 children and their family members that day. We received medicines, check ups and other medical attention needed by our community. The children and the family in Pantanal are also grateful for the visit. Some of the children even told us that they would like to be doctors when they grow up, when we asked why, one of them answered, “Because they make my mom feel better and put a smile on her face.” Yes, there were a lot of smiles that day.